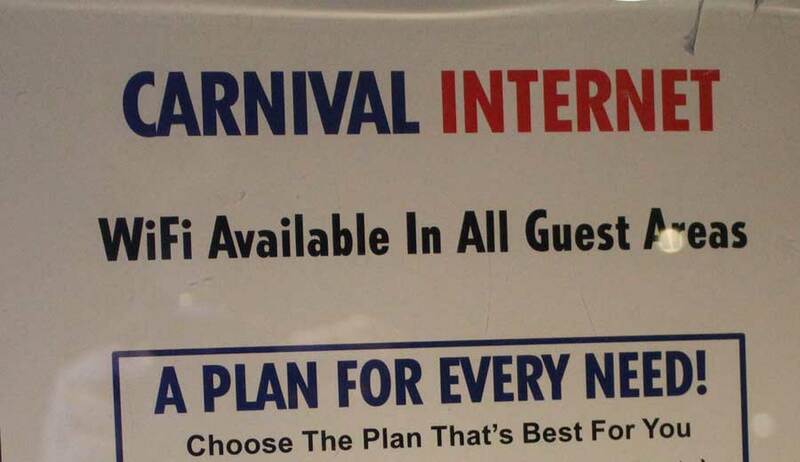 Carnival Cruise Line has announced that enhanced internet services including new social media packages will be available across the entire fleet in 2016. Incase you didn’t know, new social media internet packages have been rolling out across the Carnival fleet for the past several months. Passengers on those ships have had a choice to enjoy the cruise line’s new internet packages that are catered towards social media. One of the new packages lets passengers enjoy popular social media sites including Facebook and Twitter for just $5 a day. If you’re like us and constantly have a life around these sites then it’s definitely worth it. The new roll out is part of a new improved internet experience aboard Carnival ships which increases bandwidth and speed. So far 13 vessel across the fleet are featuring the new packages including the $5 a day as mentioned above and a new “value” plan that includes unlimited access to the Web for checking email, sports scores, weather updates and a range of other applications. There is also a “premium” package that provides the fastest available connection speed and allows access to video calling sites like Skype. The new packages will be on every ship by the first quarter of 2016. In addition the new social media and internet enhancements a new Carnival App will also be rolling out to more ships. After being tested for a while on the Carnival Breeze the new “Carnival Hub” App will be added to five more vessel before the end of 2015 and to the entire fleet by Summer 2016. The App has been a success on the Carnival Breeze with a third of the ship’s guests actively using it. Carnival Hub offers lots of features including chat features, deck plans, itineraries details, Sail & Sign account information and even a digital version of the Carnival Capers. Guests no longer have to carry around the Carnival Caper paper around the ship, we’ll finally stop seeing the papers sticking out of people’s back pockets! more features will be added to the App over time which can be downloaded for free from Apple App Store and Google Play. Have you used any of the new packages yet? Let us know if it’s any good in the comments below.